Analyzing Verizon’s recent moves and crystal-balling what promises to be a heated race in the cellular IoT space. 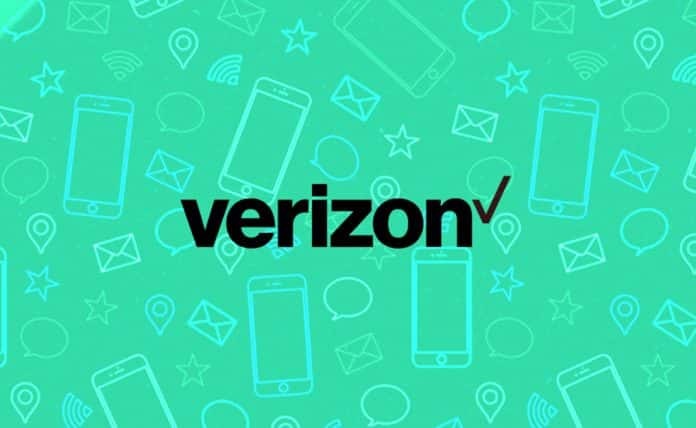 Verizon surprised consumers this past Sunday when it announced Verizon Unlimited, offering an unlimited data plan for the first time since 2011. Verizon had long insisted that most consumers pay more for an unlimited data plan when they use less than 5GB/month. In fact, as recent as January of this year, Verizon was seen making an concerted effort to push out customers on the last few grandfathered unlimited plan. So this new unlimited data plan — along with its generous prices and perks — came as a surprise. Soon after Verizon announced its news, T-Mobile, Sprint, and AT&T all responded by updating their versions of unlimited plans. Competition by the major cellular providers is benefiting customers, but what was the motive behind Verizon’s surprising move? Looking at BTIG analyst Walter Piecyk’s tweet may give us a clue. 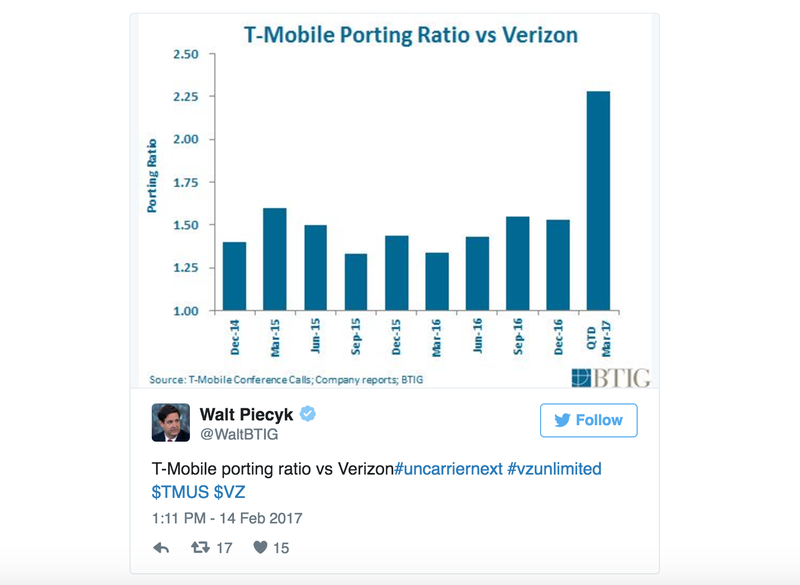 Porting ratio, the number of customers switching between the two carriers, increased dramatically, indicating that “Verizon’s perceived network advantage is no longer strong enough to keep its best customers on unattractive rate plans.” Piecyk’s analysis is consistent with the brand value perception between the four major carriers as reported by Ted Marzilli from BrandIndex.com. 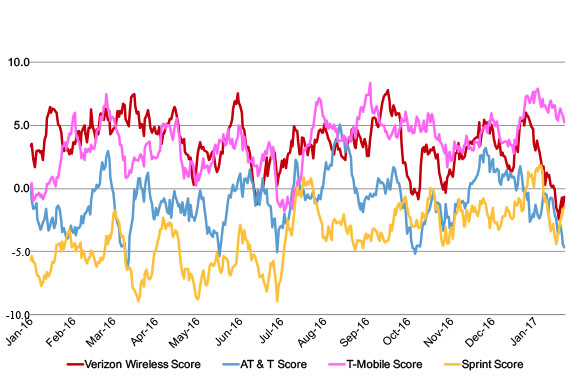 Clearly, Verizon felt like they had to respond to T-Mobile going from a “cheap price and terrible coverage” company to one dethroning Verizon at its own game. While 5G is still several years away, whoever owns the market for 4G LTE will have an advantage when the eventual switch happens. A few weeks ago, we reported that AT&T officially discontinued its 2G wireless networks, signaling its push for LTE-M and NB-IoT networks. In fact, newest updates on its LTE-M networks point to a mid-year deployment, almost six months ahead of schedule. AT&T also boasts 31.6 million connected devices on its network. Verizon is now also making serious moves into the IoT space, hoping to challenge AT&T’s early dominance. This week, Verizon acquired a drone management company called Skyward. The acquisition follows the initiative introduced last year to make its LTE networks available for drones in flight. The move is also interesting since AT&T and NASA announced their collaboration on drone traffic management system last November. Skyward is the latest of Verizon’s IoT-focused acquisitions. In 2016, Verizon also purchased Sensity Systems (a smart city platform company) and two telematics companies, Telogis and Fleetmatics. A flurry of new activity on the M&A front parallels rapid developments in LTE-M technology. At CES 2017, Verizon said that it certified new LTE-M modules to connect using Sequans and Altair chipsets. 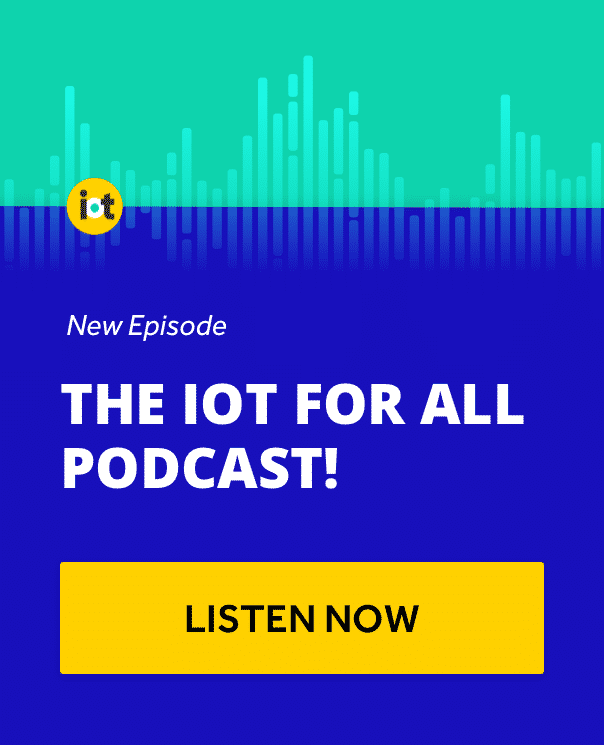 It’s unclear when this network will be deployed, but both on the consumer side and on the IoT side, Verizon is clearly making a huge push to reclaim its top spot. 2017 is shaping up to be a big year for these cellular giants.